In Rwandan culture, names mean a lot. They convey history and meaning; they are seen to have the power of shaping an individual’s future prospects and influencing their character. Which is why, each summer, people come together to name all the mountain gorilla babies born over the past year – and to celebrate how far we’ve come in the fight to save these magnificent animals from extinction. Last weekend, the town of Kinigi, in the heart of the Volcanoes National Park, once again played host to the Kwita Izina gorilla naming ceremony. Inspired by ancient Rwandan tradition of naming new-born babies, it’s a huge event that combines conservation, networking and tourism. This year, 23 gorillas were named, with a sell-out crowd of 65,000 people attending the 14th edition of the event. Over the years, leading conservationists, local politicians and even Hollywood superstars have been invited to the latest additions to Rwanda’s thriving mountain gorilla population. Our own Director, Jillian, named a gorilla in 2009. She named her gorilla, an infant male, Uzarama, meaning ‘everlasting’. Our Chairman, Ian Redmond has also named a gorilla. 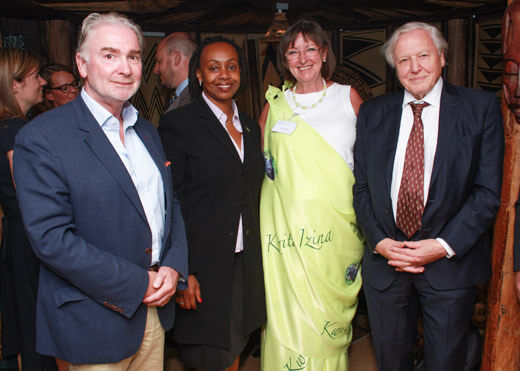 On both occasions they were invited as guests of honour of the Rwandan Development Board in recognition of their many years’ work helping to safeguard the country’s precious gorillas. “I first came to Rwanda nearly 40 years ago and then saw mountain gorillas for the first time; what marvellous animals they are. But they were in great trouble at that time – there were only about 400 of them. Poaching was rife, the forests in which they live were threatened and getting smaller and smaller. From Ishunguto Uncle Bert: What’s in a gorilla name? A lot of thought goes into choosing names for the infant gorillas. The names are intended to not only reflect the character of the individual baby, but also the circumstances into which they have been born – for instance, is their family thriving or has it endured a difficult year? The name might also be chosen to honour a ranger who has been working to protect that gorilla family. So, for example, the baby Sir David named, Inshungu was a delightful surprise as Mukecuru, the mother from the Pablo group had not produced any babies in several years and rangers believed she would not give birth again. Over recent years, the names have also reflected changes in Rwandan society. 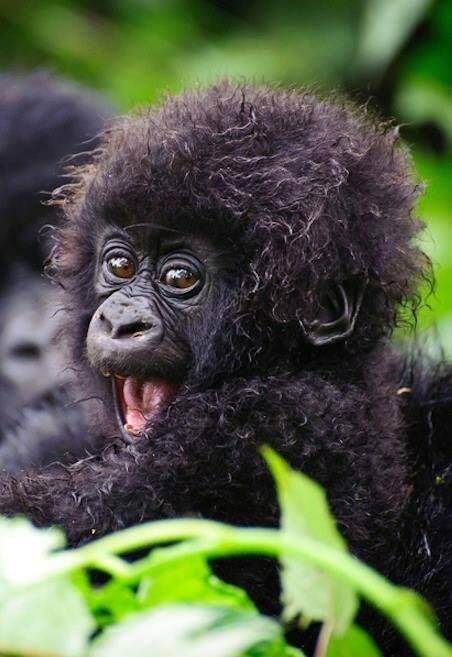 For example, last year, one baby gorilla was named Ikoranabuhanga, meaning ‘Information Technology’, celebrating the way in which many small communities have been able to modernise thanks to money generated through gorilla tourism. 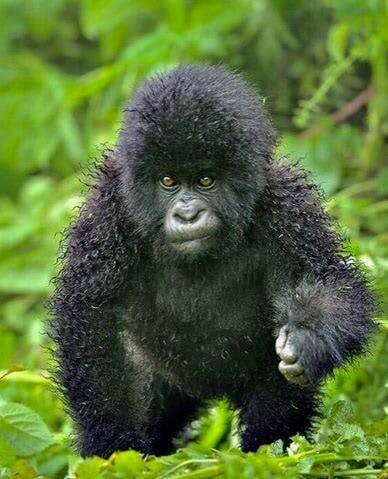 As you can see, these days, gorillas are not given ‘English’ names, but instead are named in the local language. Dian Fossey took a different approach, of course. When she was carrying out her important research, she named her favourite gorilla Digit, and she even named another Uncle Bert! What’s in it for the gorillas (and their human neighbours)? The government of Rwanda and the Rwandan Development Board (RDB) have used Kwita Izina as an opportunity to help promote the protection of Rwanda’s iconic mountain gorillas. According to the IUCN’s Red List of Threatened Species, all four sub-species gorilla are critically endangered, but the mountain gorilla is faring better and has increased in number to over 1,000 individuals. They are the only endangered ape species that is increasing in number and, since 2005, the population has grown by 26.6%. This is largely attributed to the conservation efforts made by the country and charitable organisations. Kwita Izina will return next year. Hopefully there will be lots of new gorillas to be named. Certainly, the signs are good. Mountain gorilla numbers are rising steadily, but infants remain highly vulnerable. Young gorillas are most likely to be caught in poachers’ snares or to catch disease, including human infections. You can support our work to safeguard mountain gorillas and their transboundary territory by adopting a mountain gorilla.